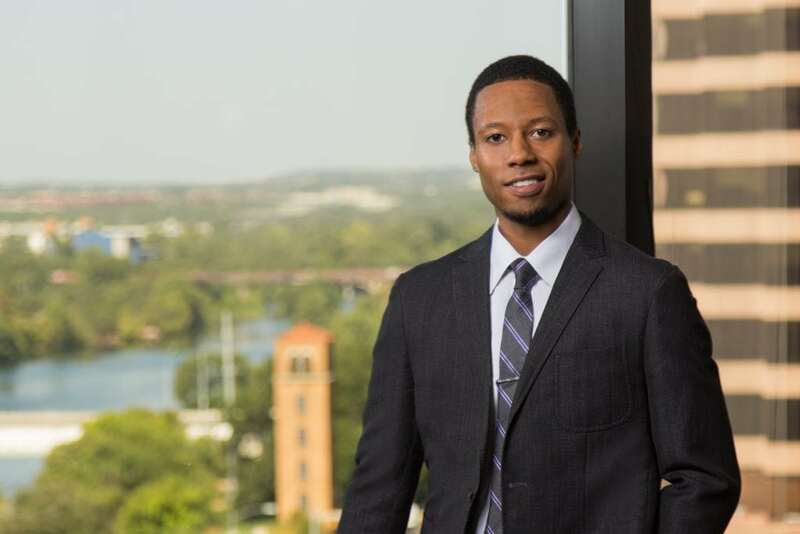 Kenneth Darby is an Associate in Fish & Richardson’s Austin office. Mr. Darby’s practice is largely focused on AIA post-grant proceedings at the Patent Trial and Appeal Board (PTAB), where he has successfully represented both patent owners and petitioners. In addition to petition and brief drafting in these proceedings, Kenneth specializes in developing high-level case strategies and legal theories for his clients. Mr. Darby also has experience pursuing and defending appeals of PTAB decisions at the United States Court of Appeals for the Federal Circuit. Beyond the substantial post-grant aspect, Mr. Darby’s practice includes intellectual property (IP) portfolio assessment and strategy, IP due diligence, patent drafting, patent prosecution and appeals to the PTAB, patentability and freedom-to-operate searches, and civil litigation. Mr. Darby is also a content contributor for events, press releases, and publications produced by Fish & Richardson. Mr. Darby is an active participant in Fish and Richardson’s pro bono program. In 2016, he played an instrumental role in a Texas voting rights case, Das and OCA Greater Houston v. State of Texas, as a member of the team that collaborated with the Asian American Legal Defense and Education Fund to strike down a Texas election law that violated the Federal Voting Rights Act (VRA). In addition to spearheading motions briefing on the merits, Kenneth delivered an opening statement at the United States Federal Court for the Western District of Texas in Austin that, according to Judge Robert Pitman, “was on par with some of the strongest oral advocates that come before the Court.” Kenneth also participated in the appellate briefing and appeared before the United States Court of Appeals for the Fifth Circuit, which largely affirmed the decision. In 2015, Mr. Darby graduated with honors from The University of Texas at Austin where he received the Dean’s Achievement award in civil procedure and mass tort litigation. Mr. Darby received his Bachelor of Science degree in Mechanical Engineering from the University of Texas at Austin where he received the John W. Hargis Endowed Presidential Scholarship in Engineering and the ExxonMobil Diversity Scholarship. As a student, he was accepted into the University of Texas Emerging Scholars Program and served as a peer tutor with the Equal Opportunity in Engineering organization. Mr. Darby also worked consecutive terms as an engineering intern for Austin Energy, with a focus in power production. His duties included the preparation of technical feasibility reports and the virtual construction of thermodynamic models representing power generating components.